What’s behind the change in steel prices? Steel is a global commodity and that means the price of steel varies on a daily basis as it is influenced by a number of varying factors including natural disasters, the strength of the American dollar and the general condition of the world economy. 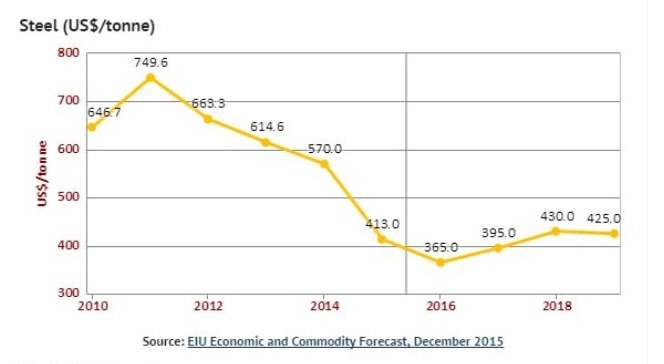 Most experts agree that steel prices bottomed out in 2015 and predict a steady rise in prices over the next 3-4 years. Mills in China produce about 50% of the world’s steel supply. So when China’s economy changes, steel prices are affected on a global level. In 2016, Chinese government stimulus efforts have led to an improved commercial property and housing market there. 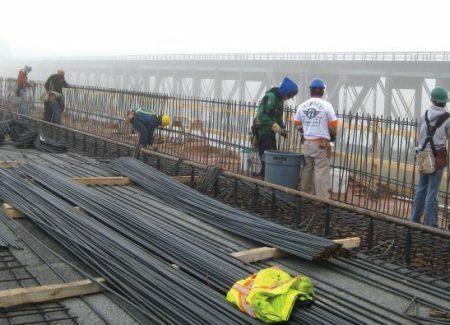 As a result, futures on steel reinforcement bar or rebar, the product that’s used to strengthen concrete, is up 54% in 2016. Rebar futures are a fundamental driver for steel prices. 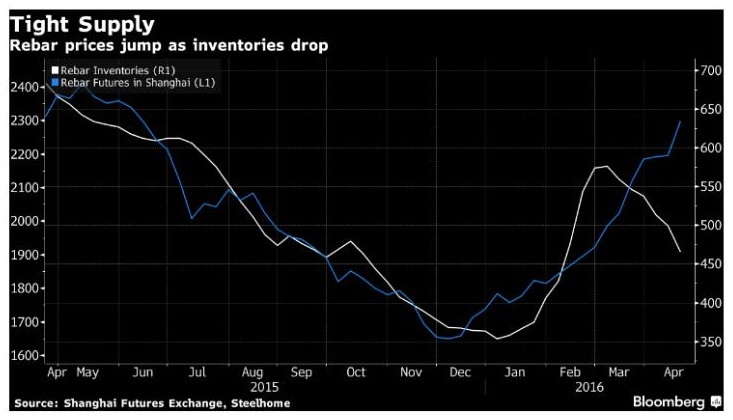 If the Chinese construction market continues to grow and rebar demand stays strong, it is likely that the increased demand will result in higher steel prices. Experts are also suggesting that global construction is trending upward. Global construction is expected to exceed pre-2008 recession levels in 2016. Growth in construction, much of it centered in India, Brazil and China means a high potential for growth in prices on construction materials, including steel. These reports certainly seem to point to rising steel prices, but the effect on storage vessel prices may not be felt right away. Many U.S. manufacturers are still carrying tank inventory they were left holding when oil price declines cut demand in 2015. Additionally, most U.S. manufacturers have some amount of steel inventory in place that was purchased in previous periods at lower prices. Until these inventories are depleted, it is less likely that tank prices will increase significantly. In summary, analysts are forecasting a continued rise in the price of steel. Most experts agree that steel prices bottomed out in 2015 and predict a steady rise in prices over the next 3-4 years. The resulting effect on storage tank prices remains to be seen. Is the sky falling? No, but if you’re serious about making a purchase within the next year, be aware that steel prices are a factor for consideration and may cause tank prices to rise at some point during that period.